Someone asked me how often the dry form of macular degeneration turns to the wet form. It happens 10-15% of the time. The wet form is more severe and causes blindness in the central vision. 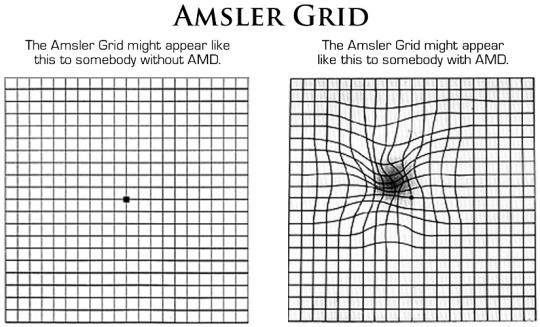 Due to the question, I include a link to the Amsler chart here (http://www.allaboutvision.com/conditions/amsler-grid.pdf) with explanations about how to use it. I suggest you print the chart and post it where you will use it to see if changes are happening with your vision. An early diagnosis means early treatment. Early treatment may limit or at least slow vision loss. If you are at risk for macular degeneration or other eye diseases, you can use this chart to monitor your vision. Keep in mind you can miss early signs of macular degeneration that only your doctor can see. Professional regular eye exams are still a must.